I think I’ve lost how many times Borland has “rebuilt” itself over the years and it seems like they have decided not to be in the IDE business anymore. 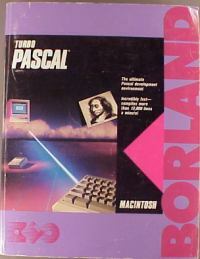 Delphi has its roots in the first “real” programming language I learned, Pascal but I never went beyond Turbo Pascal (on an Macintosh even). I’ve never really seen much GIS built around Delphi (if these is any please let me know) so its always taken a back seat to Avenue, VB6, C++, Java and .NET. Of bigger news to GIS folks is that JBuilder is also leaving the Borland family. This might be good for JBuilder as its beginning its transition to Eclipse and I was wondering how Borland could keep the product focused when their focus began to drift with their new focus on Application Lifecycle Management (ALM). Of course Borland tried to spin off InterBase a couple years ago and couldn’t make it happen so the jury is still out in my opinion as to whether this will succeed or not.